On 25 November 1918, barely twenty days after the end of the war in Europe, Colonel Paul von Lettow-Vorbeck, Commander-in-Chief of the German Army in Tanganika, entered the Rhodesian city of Abercom at the head of his troops and surrendered to the British forces there. He was received with the honors of war by the guards of His Majesty’s African Rifles, part of the great and composite Entente Army which for four long years had been trying without success to annihilate this small but indomitable force that defended the German colony of Ost-Afrika. 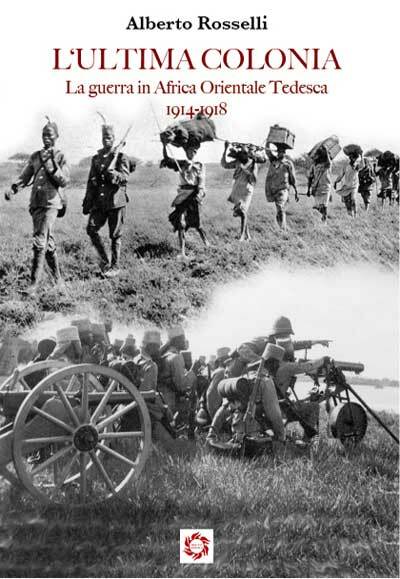 In The Last Colony (Nuova Aurora, Firenze), Alberto Rosselli brings to life one of the most extraordinary sagas of the First World War, the long East African campaign. Pitted against enemy forces in extreme environmental and climatic situations, the Germans innovated strategies and tactics totally different from those used in the European Theatre by the conventional armies of the times. The campaign in Tanganika was actually a war apart, and it was dominated by the personality and the exploits of the great soldier, Colonel Lettow-Vorbeck, legendary commander of the Schutztruppen. That he succeeded, today seems almost unbelievable. He faced, and often beat, the British and Allied Armies, bringing havoc to the enemy’s own colonies. In this in-depth study, Rosselli investigates this “strange war” and its instigator, Colonel Vorbeck, who combined the best of German military traditions with an innate acumen. During the course of World War I, German East Africa could count only on itself, seeing the great geographic distance that separated it from the motherland. And, as the British Navy ruled the waves, it was consequently almost impossible to receive reinforcements by sea. Finding himself in such an unfavorable situation, Lettow-Vorbeck was forced to improvise a true economic war to sustain his army, basing it on local resources – exploited to the utmost in a decidedly ingenious way – and on the arms and materiel that he wrested from enemy forces. 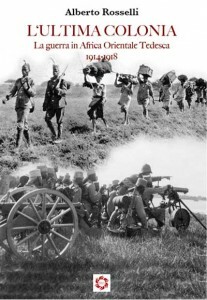 The organizational aspect of the campaign carried out by the Germans in East Africa is amply investigated in this book. It reconstructs, in an exhaustive manner, the great adventure which placed just under 13,000 of the Kaiser’s soldiers against a 170,000 strong enemy army. During the course of this campaign, Lettow-Vorbeck applied his own guerrilla warfare techniques with such skill, that he found solutions to block and inhibit the much more numerous and better-equipped troops from Britain, South Africa, India, Belgium and Portugal, miring them in the equatorial brush. In spite of its fascination and objective importance, this story is little known among the vast majority of world readers. Rosselli – who in past works has revealed a taste for lesser-known, but worthy, historic and military events of the modern era – here brings us a fascinating and well-researched tale.